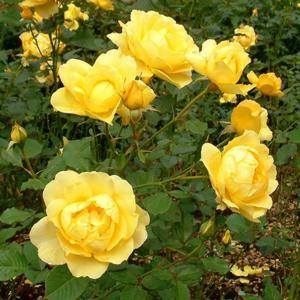 Cluster flowered bush rose producing large, scented, yellow flowers with reflexing then incurving petals, from summer to autumn. Good healthy foliage which usually persists into winter. 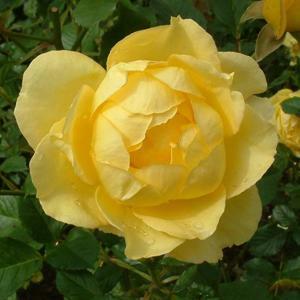 Raised by Harkness, 1982, named in memory of Earl Mountbatten of Burma.